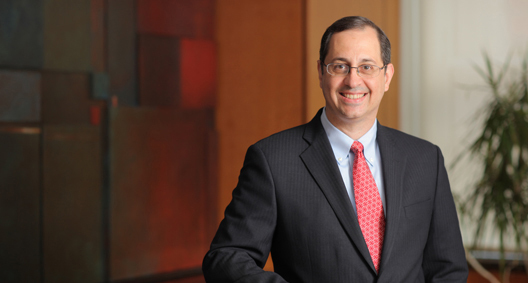 Focusing on technology law and outsourcing, Frank Pugliese has a broad range of experience representing vendors and customers in a multitude of industries as a result of technology's prevalence in modern businesses. Ultimately, Frank is a deal maker, solving his clients' problems with creative solutions in order to achieve long-lasting positive results. Frank is a regular contributor to BakerHostetler's Data Privacy Monitor blog, offering commentary on data privacy and information security topics. Represented one of the largest blood centers in the country in outsourcing its IT department, including application development and staff. Led negotiation, drafted documents and advised the client. Represented a major cosmetics company in procurement and implementation of a global enterprise resource planning system. Led the negotiation of system development. Represented a community health organization in the acquisition of a cloud-based electronic health record system. Represented one of the leading e-commerce solution vendors in licensing and managed-service transactions. Represented the developer of an interactive application in a dispute with the NFL for use of an application in conjunction with Thursday night football viewing. Represented a major investment bank in the development, licensing and maintenance transaction for the creation of its energy commodities trading platform. Represented a major New York hospital in an outsourcing agreement for the operation of its data center and maintenance and development of its software applications, and in an inter-entity transition services agreement as part of the hospital’s unwinding of an earlier merger. Represented a global media company in an e-commerce fulfillment services transaction. Represented a national commercial property owner in an outsourcing transaction involving call center operations. Represented a commercial bank in an ASP arrangement for hosting of its commercial loan portfolio business. Represented a national commercial property owner in the outsourcing of its real estate accounting department. Represented a national telecommunications provider for provision of high-speed internet access for the resort hotels of a major U.S. theme park. Represented a major cable company in the development of a dedicated telecommunications network. Represented the owner of U.S. convention centers in the creation of wireless hot spots in its facilities. Represented a short message service (SMS) provider in the creation of customer, reseller and OEM agreement templates. Represented a technology firm providing SMS, including assisting the client with the creation of customer, reseller and OEM agreement templates. Best Lawyers® 2012 "Lawyer of the Year"